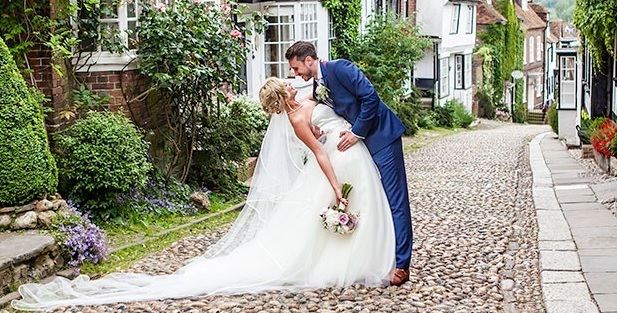 Debbie Sanderson Wedding Photography are locally based, they are experienced and welcomed in all of the Rye Wedding venues and know the best angles, locations and have the relationships to ensure your images will amaze and delight you. We really enjoy seeing how Debbie gets the most beautiful images of our couples. We are a Husband and Wife team based in Rye and are Wedding Photographers covering Kent, East Sussex, and South London we have also covered Weddings abroad with this years trip being Italy! 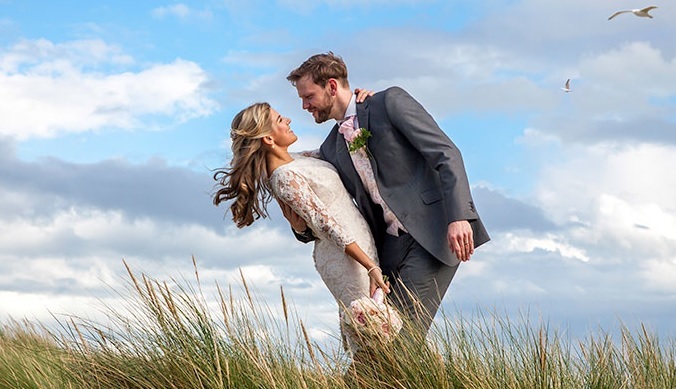 We’re a friendly, relaxed couple and our main aim is to make your day as much fun as possible for you and your guests and to get stunning shots in as non-intrusive a way as possible. We offer a range of prices for specific parts of the day allowing you to build a package to suit your needs, see our “Prices” page. These prices can change depending on your circumstances, where and when you are getting married, so please get in touch to discuss. With 2 photographers covering your day we’ll be sure to capture all those important moments. A full day’s photography would include preparation shots all the way through to half and hour after the first dance. Look at our ‘Weddings’ page will show you the large repertoire we have! Or to get an overview of your work hit the Galleries page. Wedding Photographers Looking After You! Ask about our free consultation, we want you to feel relaxed and comfortable right from the start. Take a look at our Testimonials page to see how satisfied our previous clients are with our approach. We are on hand to go through any issues or queries you may have and often find ourselves assisting in more than just photography.